When Friedrich Froebel established the first system for educating young children, he created a series of playthings to provide children with focussed educational experiences. Up until that time, toys were intended for amusement and education was provided through books and instruction. 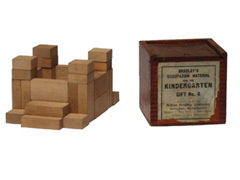 Froebel's Kindergarten used play as its engine and his Spielgaben ("play gifts") were the fuel. 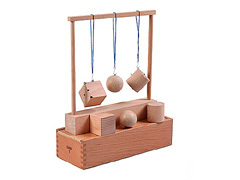 During his lifetime he codified the series of Froebel® Gifts up through Gift 6. After his death in 1852, his followers extended the series of educational toys by numbering other materials used in his school. 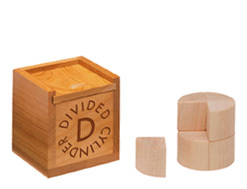 Froebel Gifts 2 through 6 (aka "the Building Gifts") are wood blocks in various shapes and quantities. 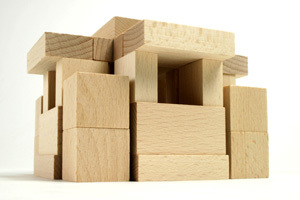 Known most commonly as Froebel Blocks, these toys were made famous in the USA by the Milton Bradley Company. Milton Bradley himself was a strong advocate of the Froebel method. Josef Albers, Charles Eames, Buckminster Fuller, Johannes Itten, Paul Klee, and Frank Lloyd Wright are famous examples of children educated with the Froebel materials. The stone version of Froebel Blocks made in Germany by the Anker Steinbaukasten GmbH factory (founded by Adolf Richter, a wealthy businessman in Froebel's village of Rudolstadt) were a favorite toy of Albert Einstein. Attend the next Froebel USA conference and see trained teachers demonstrate Froebel Gifts and the authentic method. © 2010-2018 Scott Bultman. All Rights Reserved. Site by Free CSS Templates. Froebel® and Froebel USA® are registered trademarks of Red Hen LLC.